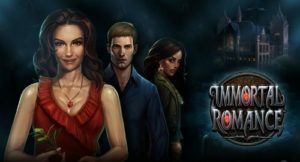 Immortal Romance Slot - Free pokies online for fun! Immortal Romance slot game is a play for fun! Try the free slot online casino game that is veiled in mystery and entranced by the mythic world! 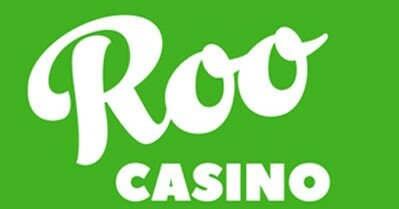 Slot machine games in demo for Aussie players! Immortal Romance is not your average bubbly tale of love, instead it’s a dark and intriguing love saga that will unfold throughout the game revealing hidden secrets. The entire atmosphere of the game is reminiscent of the mystery of Gothic novels popular in the 18th and early 19th century. The game has a pseudo-medieval feel to it and the characters are mysterious and otherworldly, endowed with supernatural powers and paranormal abilities. You’ll find witches, vampires and a lot of secrecy in this Microgaming slot game. Microgaming slot players will find that Immortal Romance is very similar to Thunderstruck II in its mechanics and bonus features. For example, the Wild Desire feature is similar to Thunderstruck II’s Wildstorm feature. Unlike Thunderstruck II, Immortal Romance has better pay-outs. The imagery of the game is also of a more Gothic nature featuring symbols like the Wild Vine, Golden Lion Door Knocker, Vampire Bats, vampire characters like Michael and Troy, and an enthralling storyline. Immortal Romance is one of the most popular video slots on the Microgaming platform, and it was released in 2011. It’s a 5-reel, 243 ways to win video slot that features a random Wild Desire bonus feature and 4 other bonus features, one for each character of the game – Amber, Sarah, Troy, and Michael. The Immortal Romance symbol is the wild, while the Golden Lion is the scatter. Wild Desire Feature: this feature in not dependant on any symbols appearing in any combination on the reels, it simply gets triggered randomly, and when it does any and all reels turn wild resulting in huge pay-outs. The Chamber of Spins is the game’s main attraction. This is a 4 level bonus feature that can be triggered by getting 3 or more Golden Lion symbols. The first level of the Chamber of Spins is represented by the Amber character, the second level by the Troy character, the third level is the Michael character, and fourth and last level is represented by the Sarah character. The first four times you trigger the Chamber of Spins, you’ll be introduced to the Amber storyline. You’ll also get 10 free spins and a 5x multiplier. The next 5 triggers will unlock the Troy feature, which will get you 15 free spins and a Vampire Bat feature, which turns symbols into 2x or 3x multipliers. The following 4 triggers of the Chamber of Spins will take you to the third level of this feature and you’ll become familiar with the Michael character. 20 free spins and Rolling Reels will be awarded to you in this level. The last level (15 triggers onward), the Sarah feature, will bring you 25 free spins and a Wild Vine feature, which will randomly change symbols into wilds. Hit more than two scatters and get more spins! There is no progressive jackpot with this game, but the 243 ways to win makes up for this shortcoming. Also, the fixed jackpot that can be won with the Immortal Romance wild is set to 3,645,000 coins. Bottom line: Immortal Romance will be enjoyed by anyone who likes games of mystery and a Gothic vibe. The music, the action and the intrigue are bound to keep you entertained.